This is a smart type air purifier that is using ozone to clean the air. There is a sensor in our machine that can analyze the air quality automatic. We program our machine to control the sensor. This program can trigger our machine to supply ozone to clean the air automatic if the air quality is bad. 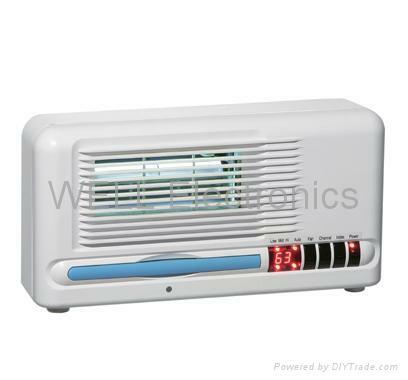 Or stop offer the ozone air automatic if the air quality is good. 2. Killing of all bacteria at once.